Our current staff includes four doctors with over 60 years of combined experience and four technicians with over 70 years of combined experience. 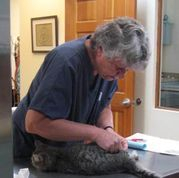 Dr. Andrea Speed has owned De Anza Small Animal Clinic since 1997. She has practiced exclusively on dogs and cats since graduating from Colorado State University’s School of Veterinary Medicine in 1984. She, along with her husband and two children, enjoy the outdoors skiing, horseback riding and camping. Her “family” also includes chickens, goats, horses, dogs, cats and a rabbit! Dr. Cheri Williams, a 1996 alumnus of Colorado State University's veterinary program, has been with De Anza for over 7 years. She, her husband Alan, and their son Tommy, share their home with their cats Jasper and Leia, and their agility dogs Riley and Beckon. Dr. Amanda Tupek joined De Anza in 2014 after working in small animal corporate practice in New England and New Mexico. 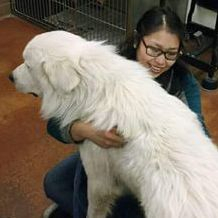 She graduated from Cornell's College of Veterinary Medicine in 2011. Dr. Tupek and her husband Michael used to enjoy hiking, skiing, and tennis when not hanging out with their pets Kiko, Hank and Link...now they spend most of their time with their smiley toddlers Edith and Kepler. Dr. Jacqueline Otero was welcomed full time into the De Anza family in 2017. 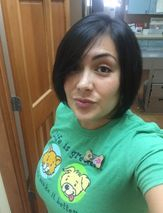 Jacqueline, a New Mexico native, graduated from Colorado State University's veterinary program in 2011 and spent her time prior to De Anza in private and corporate practice. She is excited to have more spare time to spend fishing and paddle boarding with her two rottweilers, two kids and one husband. Yvette has lived in the South Valley for 22 years, and has worked at DeAnza for the past 19. At home she dotes on her heelers, Kelly and Porter, while here at De Anza she keeps us all in line. 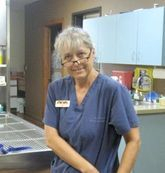 Jean has been a veterinary assistant in the Albuquerque area since 1989 and has been a member of DeAnza's staff since 2010. Although we are dreading the end of the year, Jean is eagerly counting down the days until her retirement on December 28th, 2018. Debbie has been a technician in New Mexico since 1978, and worked with various species from cats and dogs to horses and other farm animals. Yo habla Espanol! 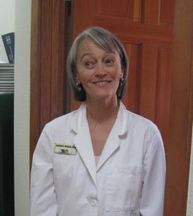 Jo has been working with animals since 2003 and has been a certified veterinary techinician since 2006. She has worked with everything from exotics to livestock and from companion animals to animals at the Albuquerque zoo! Jo makes great salsa, mean banana bread and has a toddler, a snake, a herd of cats and a pack of dogs at home. 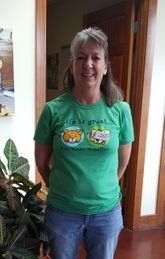 Our receptionist Paula is a life-long South Valley resident with over 15 years experience in animal care. 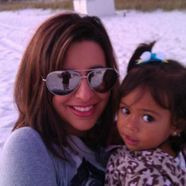 She shares her home with Rickie her youngest son, and Yeti the cat. Paula has an insatiable sweet tooth. Nirvana has a certificate in Veterinary Assistant from PIMA Medical Institute. 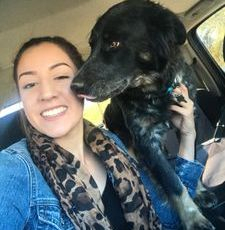 She enjoys spending time with her boston terrier, two cats, listening to some good ol' music and going back and forth to visit family on the reservation. She also is an amazing artist. 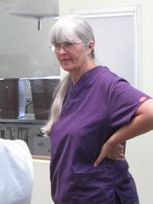 Kathy is a Veterinary Assistant, certified from Pima Medical Institute. In her free time Kathy enjoys horse back riding and barrel racing. Kathy shares a home with her devoted dogs Max, Cowboy and Shayla. Kathy also speaks Spanish. Audrey is also a recent Pima Medical Institute Graduate and our newest veterinary assistant, she also helps out with reception. Audrey is a life long South Valley resident, can speak some Spanish, and enjoys tattoo design. Her dogs Loki and Monkey live up to their names.